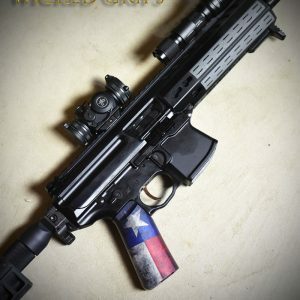 AR-15 Grips and Rail covers by Wicked Grips. Each set is made in aluminum, then anodized in our custom artwork. 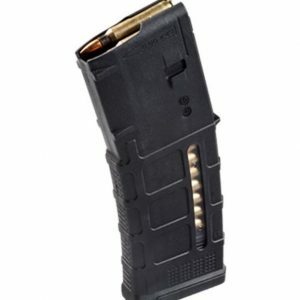 Rail cover sections fit any standard Picatinny rail section, so they will also fit AK style rifles and pistols, as well as many others from various makers (SIG, FN, IWI, Century, Colt, etc…). 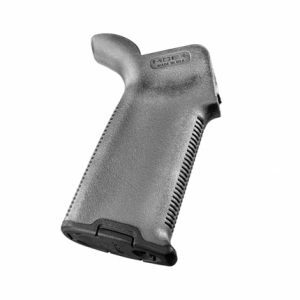 AR-15 rifle / pistol grips were originally designed to replicate the complete look and feel of the bottom end of a 1911 handgun. Please read product description before ordering.